How would you like to acquire every secret I have about the Business Strategy Game? Yes, I am talking about the www.bsg-online.com for 2018.
Who am I? 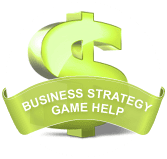 I am a Business Strategy Game Grand Champion and that means I know every strategy, secret, and tip you can possibly imagine about the Business Strategy Game, but more importantly, I’m willing to share them with you. With my Business Strategy Game Help, tips, techniques, and strategies, your competition doesn’t stand a chance. I’ve played the Business Strategy Game many times through and have completely dominated my opponents every single round of every single game. It didn’t matter how competitive they were, how motivated they were, or whether they were Industry Champions. I shut them down fast and knocked them out of the running. I’ve turned dead-last severely bankrupt companies into Industry Champions with just two years left in the game. I am the longest known active Business Strategy Game player with a career stretching back to 2006 and through multiple versions of BSG. The accumulated knowledge I have over the Business Strategy Game is on an unrivaled scale that Regardless of what decision year you’re in, how bankrupt you are, or if your company is dead last right now – you can SUCCEED in the Business Strategy Game by following my SIMPLE tips, advice, and strategies. Period. I’m not talking about “theory” and “how to play“; I’m talking about a proven system that has helped me become Business Strategy Game Grand Champion. 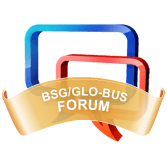 On BSGTips, we have an email service and forum to handle any support issues you may have. When you sign up for BSG Tips, you’re not alone. You will have secret access to private areas of the site and get to ask questions with my personal expert replies. Now you can with The Ultimate BSG Solution. No two Business Strategy Games are the same. The strategies that are successful in one game might not work in another. And, as I’m sure you’re aware of, the Business Strategy Game Manual is extremely complex and confusing so it seems impossible to 1) formulate a strategy and 2) try and figure out how to actually implement it on the decision screens. That’s where BSG Tips and The Ultimate BSG Solution comes in. Whether you’re researching the BSG, are already playing the Business Strategy Game, or are losing badly… we have the Ultimate BSG Solution for you that will solve all your problems. you have to BEAT every single Industry Champion that’s won the Business Strategy Game. 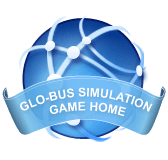 If you’re like most students though, you just want to win the Business Strategy Game, be crowned Industry Champion, get the grade, and move on with your life. This is extremely easy and if that’s all you want, then grab The Ultimate BSG Solution right now and guarantee your success. For many students, winning the Business Strategy Game can be the difference between PASS and FAIL. If this scares you, it should. We’ve heard countless horror stories of students not taking the BSG seriously and failing the course as a result. Some professors place higher emphasis on the Business Strategy Game than others but the Business Strategy Game is always a hefty part of your grade. So, why not win the Business Strategy Game and stop your worrying. We’ve solved EVERYTHING for you. Those that haven’t played the BSG Online yet and are researching online for every advantage they can find. Those that are already playing the BSG Online and perhaps want an edge over the competition. Those that are already playing the BSG Online and are going bankrupt and/or are dead last. Regardless of your scenario, having BSG Tips in your corner is like having an 800 lb. gorilla on your side. Other teams in your industry won’t stand a chance when you unleash the tactics we teach. The BSG Ultimate Solution is THE ONLY GUARANTEED one-way ticket to winning the BSG. Don’t be fooled by Cheap imitation Business Strategy Game guides you might see online. Those are “LEARNING REFERENCES” written by commonplace Industry Champions, which teach you how to “play”. More than often they drone on… and on… about BSG, to the point, it’s barely relevant to impress you with a bunch of words. All the while you get lost on what was really important to do – actually win. The worst thing that could happen is you follow one of these guides to save a few bucks, to implement the strategies The Whole World Sees and end up LOSING the Business Strategy Game which may result in a low grade and possibly re-taking the class! I see this every semester, and you don’t want it to be you. Let me ask you this. Could you win the Business Strategy Game against a bunch of 5th graders? Chances are it would be a piece of cake right? Well some Industry Champions have such an easy time winning because the people they’re going up against simply didn’t care about the BSG. Some students even “let it ride” without making ANY decisions for years! As a Business Strategy Game Grand Champion, I have been responsible for burying many Industry Champion competitors and I have to say, it’s not hard. Over the course of many years, I have seen a plethora of situations, companies with a BILLION dollars in debt, people making strategic mistakes that will ruin them in the LATE GAME. Most Industry competitors aren’t able to replicate high results when they face tougher opponents and have a simple understanding of the Business Strategy Game. There are tons of possibilities in the Business Strategy Game, and the wrong strategy in the wrong circumstance will COST you the game. You cannot afford to follow simple techniques and fail! You need to get confidential, accurate, comprehensive, and reliably up-to-date information from a trusted and PROVEN Business Strategy Game source. I promise you my techniques and tips are fully replicable and have kept me the undefeated all these Years! They WILL work for you too and can adapt to EVERY situation. Order today and you will be privy to every secret, technique, tip, support, and help I can provide you with that will surely secure your SUCCESS and VICTORY as a Business Strategy Game Player.